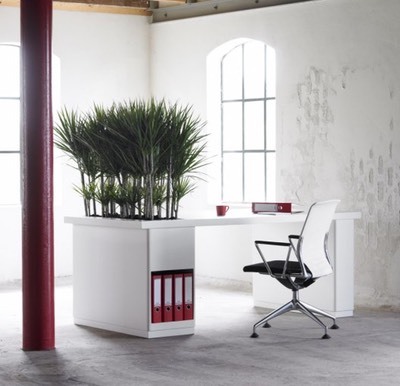 Check out this fascinating video on the value of plants in the workplace. At the heart of our system is a specific clay that was laid down some 40 million years ago during the tertiary period. It is found in only a few places in Europe. Using a proprietary process, the clay achieves a pore volume of over 80 per cent. It is then dried, broken down, sieved, and fired giving it incredible water absorption properties; while at the same time still allowing oxygen to reach the root ball of the plant to promote healthy growth. We'll tell you a whole lot more during our demonstration and we promise - you won't get your hands dirty. Introduce our European maintenance and watering system to all your interior landscaping projects and get the benefits European countries have been experiencing for years! If you're not ready to start afresh with new plants and planters don't worry, you can still take advantage of the Dutch Green Design unique system, just Renovate and Innovate! Dutch Green Design specializes in re-using your existing plants and replanting them in new water systems. 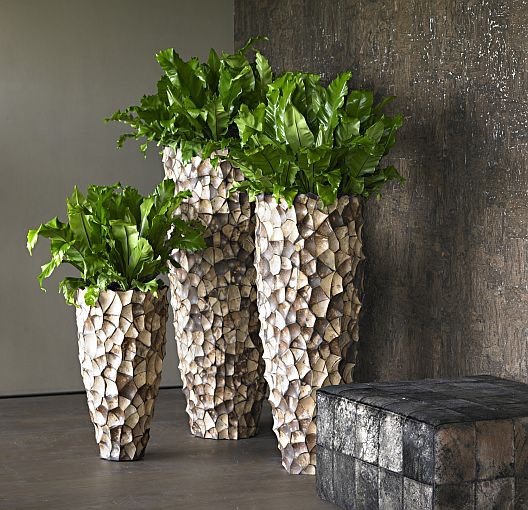 We can either re-use your planters or provide new ones. This cost-saving service revives your facility and reduces maintenance. This also decreases your carbon footprint.